Dragon Ball Z has been around since the mid 80s and to this day I can’t honestly say it has dropped in popularity, it has only ever gotten bigger and better and, despite what some fans say, it really can do no wrong. While many things inspired Dragon Ball Z, Dragon Ball Z has inspired many other Manga and Anime series’ and without the work of Akira Toriyama (the creator of DBZ) a great deal of these newer titles wouldn’t be what they are. Dragon Ball Z: Battle Of Gods is the Eighteenth movie in the DBZ movie series and would have to be one of the most intense and aesthetically beautiful films I have seen in quite some time, all your favourite characters return, there’s a new threat to face and, thanks to the 2013 Japanese Film Festival, us here at Capsule Computers got to see it in all it’s silver screen glory. 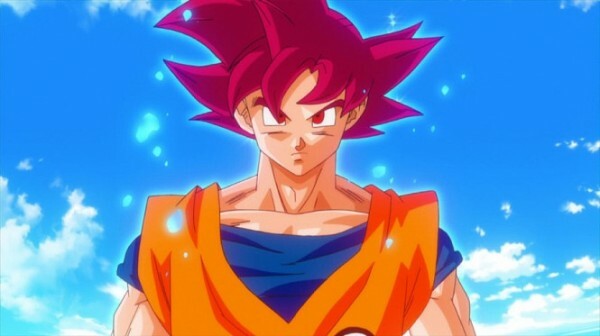 Dragon Ball Z: Battle of Gods is, through and through, a very typical Dragon Ball Z movie; there’s an infinitely powerful bad guy, the world is in peril, there’s talk of an explosive power that can be obtained and the only person who stands even a fraction of a chance is our hero Goku. 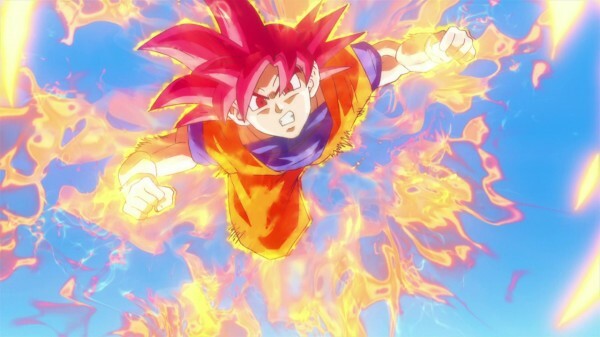 At first this concept of Goku always having to be the saviour would have been one that would get audiences sighing and scoffing but the fact that Dragon Ball Z has always been like this for many years makes it so that audiences wait for Goku’s appearance instead of dreading when the inevitable happens. 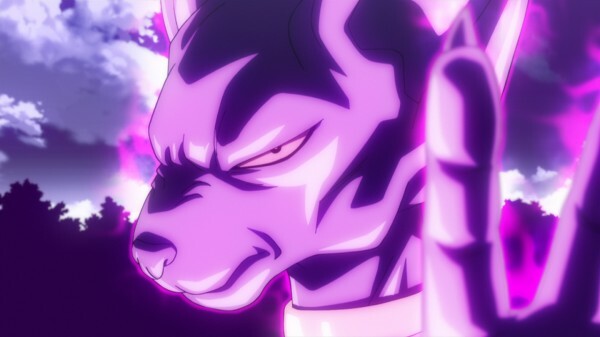 After a great number of years the God of Destruction, Bills, awakens from a slumber wherein which he dreamt of a power that threatens to match that of his, after talking with his “carer”, Whis, they come to the conclusion that this power, the “Super Saiyan God” lies dormant somewhere on earth within a Saiyan. 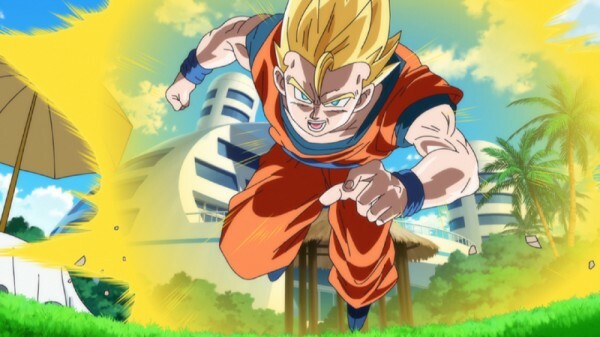 Goku, who is training with King Kai on his minuscule planet, catches wind of the awakening of Bills and his incredible power and, in typical Goku style, itches to battle the God. Before heading off to earth, Bills and Whis stop off to see Goku and King Kai and, after a bout between Goku and Bills, they head off to Earth hoping that a Saiyan more powerful than Goku waits somewhere there, did I mention Goku lost against Bills? Yeah…he lost. On Earth the usual team are celebrating Bulma’s birthday with a huge party, Vegeta is off training somewhere when he gets a “call” from King Kai explaining the situation; Bills has the power to destroy planets without breaking a sweat and, much like a child, if he doesn’t get what he wants he throws a tantrum the likes of which you’ve never seen before. Bills and Whis end up joining the little party after a conversation with Vegeta, who seems to be acting extremely out of character due to sheer fear of Bills. This part of the movie is actually extremely humorous and the humour leads onto the cinematic and epic fights. Without giving too much away, what sets Bills off is not the fact that the “Super Saiyan God” isn’t on Earth, it is because our old friend Buu would not share any pudding with him, do recall me comparing Bills to a child? That’s exactly what he is. Now there’s a great deal more that happens in the movie and there’s even a little side story that melds into the bulk of the story which just so happens to feature Emperor Pilaf and his two-man crew but for this review what’s above is sufficient, the rest HAS to be seen rather than read. 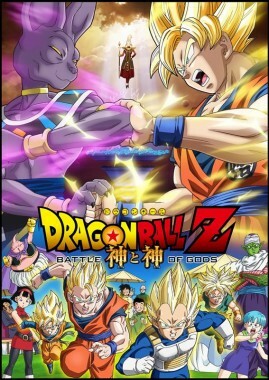 What I liked about this movie is that it hasn’t strayed from the typical Dragon Ball Z layout, which after all these years has become its own thing entirely and without the silly humour and the incredible fights between Goku and an enemy the series wouldn’t be the same. The in-story humour was very present, moreso than any other Dragon Ball Z film I’ve ever seen and the fact that Bills, the antagonist of the film, decided to rampage over something as simple as pudding was a little bit off-putting and while it worked out by the end to be more than just a pudding rage it was still very much there in the back of my mind, it almost jumped straight from humour to action but I can understand why. Pride played a big part as a theme in this film; Vegeta set aside his pride when he sung and danced to defuse a situation between Bills and the others at the party and Goku set aside his pride when he obtained the “Super Saiyan God” power, unfortunately I can’t explain it without spoiling the movie so I’ll be leaving you a little out of the loop. I liked the theme of pride because the Saiyan race pride themselves on pride, it is present in almost every Saiyan being from Raditz to Vegeta and in most cases they can never put it aside, save for this one where they are basically forced to. The ending was both expected yet unexpected and, while I can’t go into details, you’ll be very pleased with the way it turns out, it’s fresh yet it sticks to typical DBZ traditions and it works very well. This movie is absolutely brilliant visually, there’s an almost perfect mix of CGI Animation and Traditional Animation to the point where I believe for the very first time this mix was done perfectly. The CGI Animation only became present during intense situations where a majority of the screen was populated by the flashing of energy or the swift attacks of the fighters and while there was some noticeable CGI scenes they were done well enough for it not to look corny and for people in the audience to not make a big deal about it. The animation in general was fluid and done well, it would have to be the most well-animated Dragon Ball Z movie to date and it makes sense to be because it is the latest of the series. The environments throughout were almost breathtaking, I’ve never seen the Dragon Ball Z world in this way and to see it both animated well and on the big screen just blew me right away. There was never a dip in animation quality, it kept it’s integrity the whole way through and it’s safe to say that my mind wasn’t the only one that was blown away by its aesthetics of it all. You could take a screenshot of many parts of the movie and, chances are, it would look not only epic but incredibly cinematic, and that’s just from a glance. The two warriors actually fought in many different environments from the city to the mountains and even under the soft soil that lies beneath the ocean, there was so much to see and I just couldn’t get enough of it. This is where I’d have to take off points and I hate doing it but I just have to, I cannot be biased because of my love for the franchise. 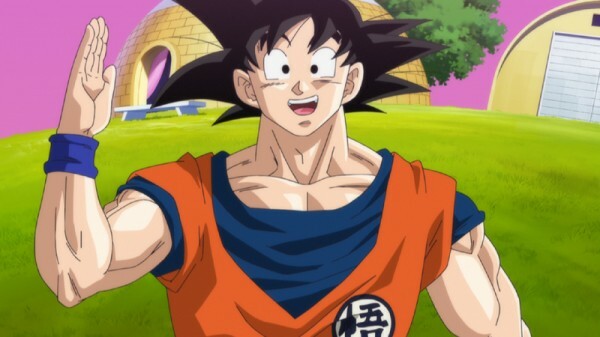 The Japanese voice acting was sub-par to say the least, Goku is no longer a child yet he has the voice of a pre-pubescent boy, his voice not only doesn’t suit the character, it is also incredibly annoying and while you learn to live with it so that the movie can be enjoyed it is still there at all times and still to the very last minute it does not suit. Now I’m going to admit that I just wasn’t used to it because I had always followed the English Dubbed Anime but, from hearing murmurs around the cinema, I could tell that people weren’t all that impressed with what our hero sounded like. King Kai was also a weird case, it seems as though his voice didn’t entirely match the actions of the character and, once again, it was a little off putting, fortunately for the film the rest of the voice actors were one hundred percent on the ball and sounded fantastic. The music througout the movie was absolutely brilliant, they used a cover version of the original Dragon Ball Z theme, “Cha-La Head Cha-La”, alongside some brand-new music, I’ll say that it made up for the terror that is Goku’s Japanese voice. Dragon Ball Z fans will love this movie and if they don’t I think they’re just looking at it the wrong way. 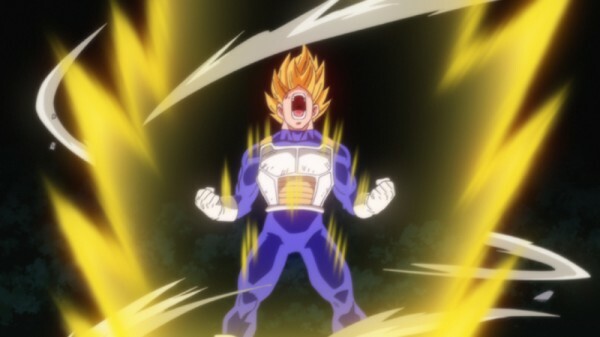 The animation is perfect, the music and sound effects are great, Goku and Gohan’s Japanese voices don’t suit the characters at all and the idea of Bills getting upset over pudding is very silly but they are just minor things, in a way, get brushed off when the true action kicks in and you start to understand the undertones of pride and power. I absolutely loved this movie, it brought me back to my childhood and it, I believe, has made audiences around the world feel the same. Dragon Ball Z is an incredible series and this movie is just another incredible part of it. Perfect for all ages, perfect for all fans of Anime, even those NOT into Dragon Ball Z, and going into it with a slightly more opened mind will allow you to have a brilliant movie experience.